[color=brown]A little about you:[/color] If you want it. Your motto:Respect is for losers! A little about you: None! Tournaments Competed in : hehe not much second place RA yellow Dorm Leader Tournament, and 2 place Hungarian Nationals Power of Chaos Championship. Your motto: Not cry baby, You can only have a bad draw, from a bad deck. 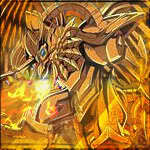 A little about you: Hy mans my english speak isn't very well but that's know many duelist who is know who's me I think. A hate the crying duelists and who's isn't know the rules, and said to me "You're a stupid" o.O, if I don't know anything else thingkin a bit and say Yeah man true, sorry. The real life I like my friends, my girl friend playing many sports and martial arts. Tournaments Competed in: None but planning to. Motto:If no key card in beginning hand, not worth playin the duel. Key Card:When Colossal hits the field its over. Hatred Deck:Go F$%# urself LS and DAD wannabe decks!!!! A little about you:can ya guess.. Your motto: Life is nothing without taking risks. A little about you: I take dueling seriously but of course, I don't forget to always have fun and to be polite and friendly to others. Your motto: Live life to the fullest. Favorite Deck: Hopeless Dragon, i think. Hatred Deck: I don't know, Lightsworn or GB? A little about you: No thanks. Then Join The Testing Network DAD Test x1x No Pass. If That Does Not Work Ask A Tester For Their Ham. And Next Time Before You Post Please Look Around To Post In The Right Topic. Years Playing: uhhhh a while? Hatred Deck: Mill. Lightsworn. Dragons. A little about you: I'm new here and stuff. I play card games. Location : Alone in the Skies. Team: Keepers of Udjat/Guardians oh Udjat. Tournaments Competed in : A lot of random ones who which they can host through Hamachi in Lobbies. WON: 4/7 of them. Special Skills: Build Deck. Will Power. Create Strategies. Your motto: There is no need to fear. Felix is here! Favorite Card: Stardust Dragon/Assault Mode. Key Card: Assault mode active. Favorite Deck: Stardust Dragon's/Assault Mode. Hatred Deck: Exodia, Burn, Blackwing. little about you: a Smart guy who scared of Tests. Smart in English and Making Strategies. Your motto: " When a duel gets tough to win don't quit find a way "
A little about you: i'm a 14 year old and i'm african american. I'm good at making friends and i live in the US. I love playing yugioh and all. So yeah i'm average teen lols! I also kick but in basketball and football.